Family.. as you age you realize that times are limited and precious. Celebrating time with those who you are born to - is essential and documenting it for my children will give them a legacy of love and history. 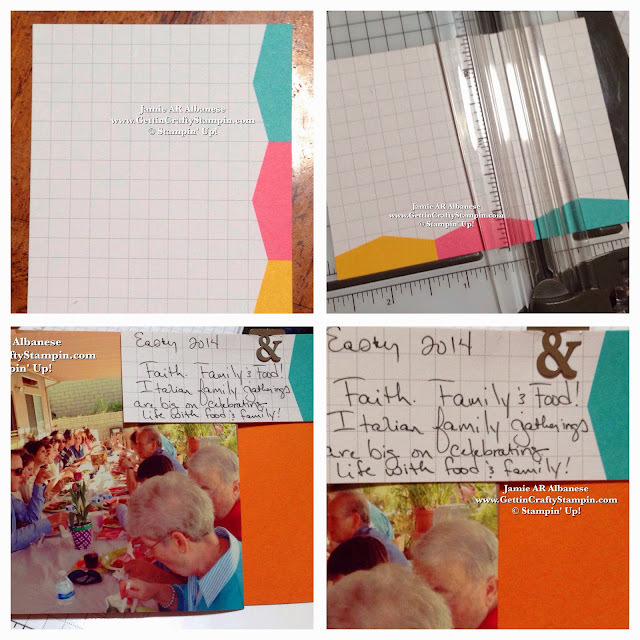 The new Project Life Memory Celebrating System makes it easy to document our life and still have time to have one! 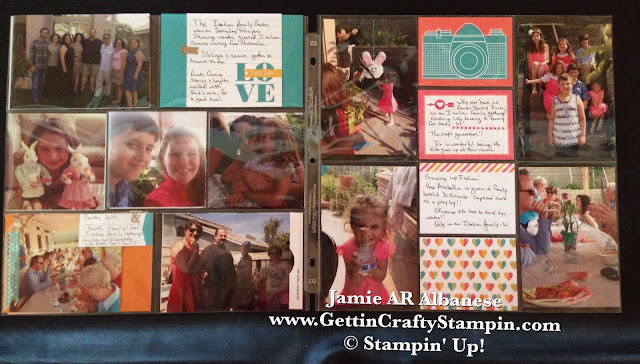 JOIN the Upcoming Preview Party and Card Class on June 13th and play with these new products!! If you enjoy this project and want to have some fun crafting with me, CLICK HERE and RSVP ASAP for my Upcoming Classes!! Most classes are FREE with a qualified purchase!! This Easter we had a two day party - Easter Saturday we joined the Italian side of our family as we celebrated Christ's resurrection and visited with our Italian family from Australia. Here my husband and kids were able to visit and connect with their Aunts, Uncles and Cousins.. in our busy life - these opportunities are too rare to come by. Our Everyday Adventrue Accessory Pack add a quick and cool element to this page. 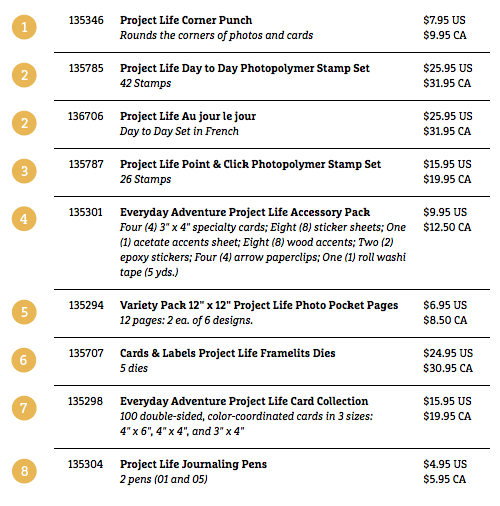 Here the Arrow paper clip on the Project Life card allows me to journal a quick note about the times and people we are able to connect with. The LOVE This Day sentiment really says it all, doesn't it?? Layer this card over a piece of 4"x6" Bermuda Bay card stock and have a perfectly color coordinated look for a stylish page. Sometimes you don't want to journal much. 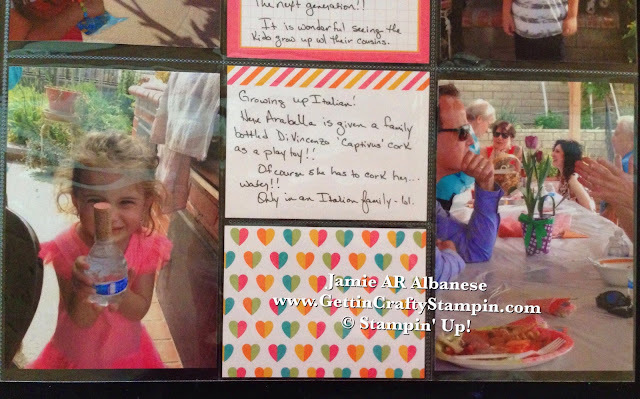 Here cutting one of the Everyday Adventure Journaling Cards allows me to jot down a few sentences while the Essential Hardware has this fun 'And/&' to highlight that in our Italian family it is all about 'Faith, Family & Food'! Adding this cut piece back into my Project Life box will allow me to use it in the future. 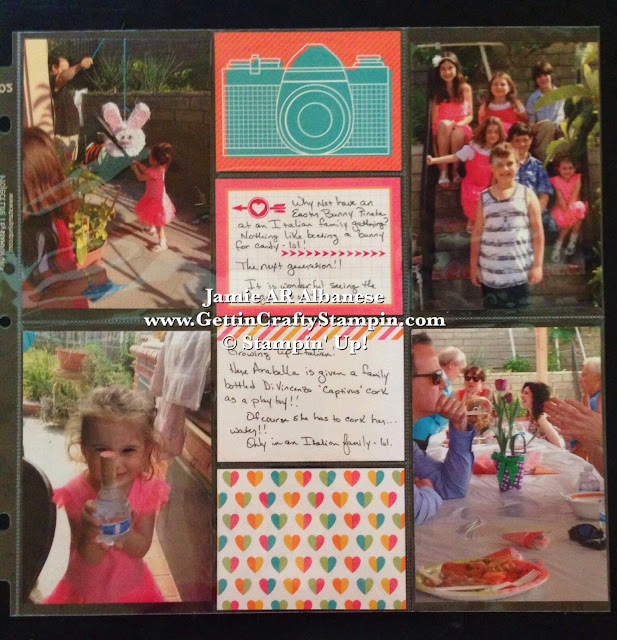 Layer the picture and journaling over a 4" x 6" piece of Pumpkin Pie card stock for a fun pop of color. The NEXT Generation.. I'm blessed to watch our kids grow up with their cousins. 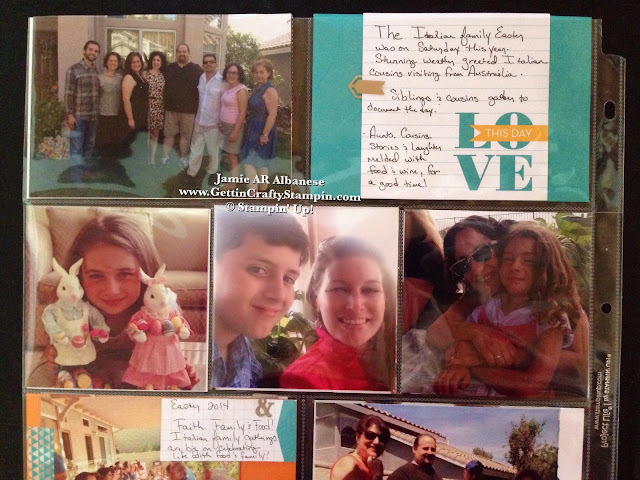 Fun family gatherings allow them to forge bonds and celebrate their roots. Here our daughter plays with a cork from the family's brand of Captivus and beats on a bunny shaped piñata - fun memories that make days like this worth celebrating and cherishing. 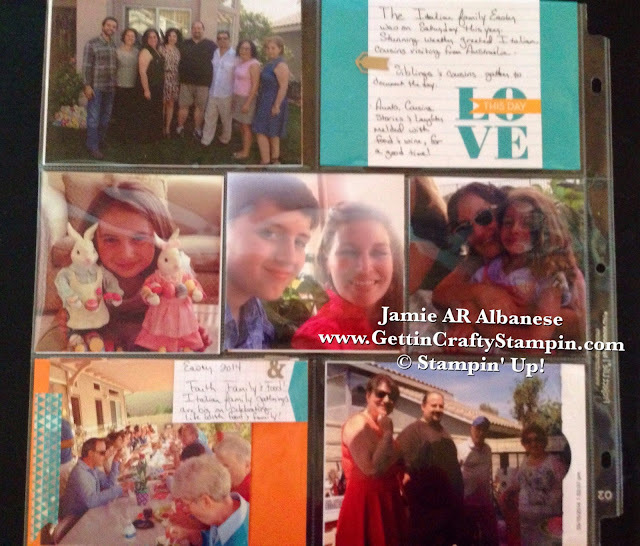 The fun color coordinated journaling cards allow me to have a colorful page with style. 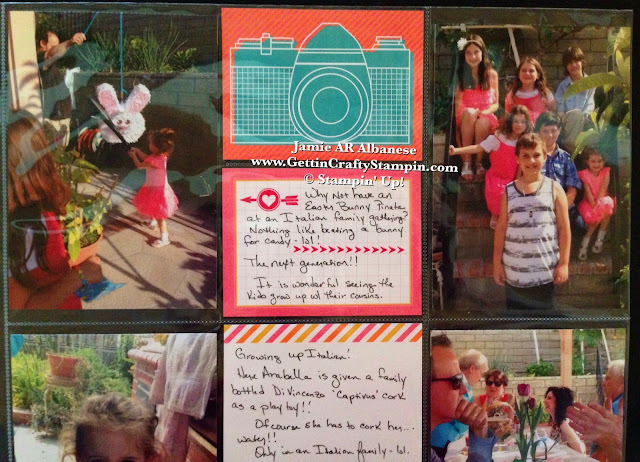 Easter is all about color and new life - these cards sure do capture that. Adding fun arrows and accents is easy!! The new Project Life Point & Click stamp set and color coordinated inks (like our Melon Mambo ink pad). It is easy and fun while looking good! Little accents add to this page while not taking away from it. Giving the gift of family and documenting these memories for our kids is a great way to leave them connected to their roots and knowing where they come from. I love how the Project Life system allows me to document and celebrate our life without taking away from actually living it. With 6 kids and a busy schedule - this is essential to my life, how about yours? ?